Peggy Frank Lyle has 24 years of experience in all facets of health care public relations and marketing. She is President and owner of Frank Public Relations, a strategic healthcare public relations and marketing agency specializing in managed care, e-healthcare and B2B organizations nationwide. She serves as Vice President of Public Relations for Managed Care On-Line (mcol.com), the Internet's managed care knowledge resource company, where she directs the strategic public relations and business communications of this five-year-old Internet site. She also provides public relations services to Douglas E. Goldstein, a well-known e-healthcare expert, visionary, and author. She garnered her considerable knowledge, expertise and passion for the health care industry through long-term tenures with nationally known hospitals, including Cedars-Sinai Health Systems in Los Angeles, CA. There she developed and launched the hospital's first-ever public relations and marketing communications program as Assistant Director of Public Relations and Manager of Media Relations. Her other healthcare public relations experience includes Saint John's Hospital and Health Center in Santa Monica, CA, and Medical Center of Encino, Encino, CA. Early in her career, Ms. Lyle was the Southern California Director of Communications and Advertising for Weight Watchers, International, a Heinz Company. Prior to her entry into e-healthcare, Ms. Lyle spent more than four years spearheading managed care public relations for Prudential HealthCare, where she served as Director of Public Relations for the Western Division. She is considered an expert in crisis communication management and media relations. Ms. Lyle is a well-known speaker on health care and public relations issues receiving numerous national and local awards acknowledging her commitment to the field. She received her MBA, with an emphasis in Health Care Management, from California Lutheran University, and her B.A. in Journalism from California State University Northridge. Ms. Lyle is on the advisory board of a NY-based Internet startup. 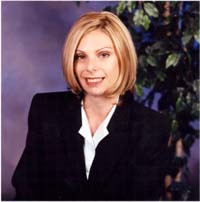 She is on the Board of Directors for several health care-related organizations, including Teen Line, a peer to peer counseling hotline, based in Los Angeles, and the Human Growth Foundation, which provides outreach to parents and allied health care professionals concerned about children's growth disorders. Ms. Lyle is also an advisory board member of a NY-based Internet startup. Your topic of E-Marketing is certainly a timely topic in light of healthcares ever increasing online presence. (1) Understand operational processes--develop a realistic model and refine the quantiative and qualitiative ROI elements as your Web e-services evolve. (2) Collect data that can identify patients or customers --this is essential to closing the transaction. As a first step, you might want to collect patient email addresses. (3) Quantify the financial impact of e-services --but don't forget to factor in the added "gravy" of qualitiative benefits --use your knowledge and know-how to quantify the benefit of greater convenience for patienys and customers. And finally, doing it right --the first time hopefully -- by THINKING IT THROUGH -- is the key to overall ROI success. Answer 4 - Mike, Congratulations on our upcoming launch. I am sure with the right marketing plan, your offering will be quickly embraced! My first thought is to reexamine your business plan. Did you put thought and dedicate resources (time, people, dollars) to marketing your product? Please, take a look at what your initial thoughts were in regards to marketing, and scrutinize in light of the ever-changing marketplace to ensure that your original thoughts, when you created your business plan, are still valid. I imagine that in your plan you did a SWOT analysis (strengths, weaknesses, opportunities, threats). Is your original thesis still correct and on target? Have new players (competition entered your marketspace? It is pivotol that you reexamine this now, and continually. This is a good place to start your marketing plan tactical development. I imagine you have segmented the marketplace for each individual product offering. Each product offering, eg. laser vision or breast augmentation, should be marketed as its own individual product -- targets are different for each of your product offerings. Your next step is to decide on marketing mix you will use to forward your agenda to create mass penetration, acceptance, and loyalty (to generate friend-to-friend interest). Finally, what is your USP -- your unique selling proposition. Be sure this is clear in all of your communications. Ask the following questions each time you speak about or write about your product offering so it targets your stakeholders -- from the perspective of the potential member: (l) so what? ; (2) who cares?, and (3) the most important question, "WIFM" -- what's in it for me? Answer 5 - The US Department of Labor's Occupational Outlok Handbook puts it this way,"An organization's reputation, profitability, and even its contiued existence can depend on the degree to which its targeted publics' support its goals and policies"-that public relations is key to both the growing economy and to key institutions. The amount of resources dedicated to public relations should be aligned with this significant piece of information. Whether you should hire an inhouse public relations professional or a consultant is strickly a business decision. Many start-up companies have restricted revenues, and find it more economical to retain a qualified public relations agency to handle their account. These public relations consultants are very attractive in that they work in the "ehealthcare" space, and have the ability to leverage their media contacts with their various clients. Inhouse PR counsel is strickly dedicated to YOU, your company and its products. Hopefully, they are part of your strategic executive management team, and partipate regularly in all meetings involving strategy and tactics. Sometimes, PR agency representatives are left out of this loop -- which is really not affording the organization the full complement of skills which today's PR pro brings to the table. Answer 10 - Let's have a little fun with this question. Because PT Barnum is considered the father of PR, I will provide a visual response, based on the circus. Picture the circus tent on the ground (the business plan), and picture the poles holding up the tent (the strategic marketing campaign to give rise to the plan). Now, assign a name to each pole: marketing promotion, advertising (on and offline), and public relations--a sound strategic public relations campaign is a part of the total marketing campaign. These poles are components keeping the tent up and ready for action. Underneath the tent are all the organization's team players who are onboard with the strategic marketing campaign and through all of their efforts, whether they are accountants, sales representatives, customer service representatives, etc, they further the goals of the organization by the very virtue of "the best PR is that which is advanced by your own team-- your own employees." A good strategic marketing plan, with the PR component, includes all employees. Be sure they know the direction of the organization so they can serve as individal ambassadors for the organization. Bottom line, PR is part of the marketing plan--not a substitute. Make sure that all your employees are onboard, that they embrace your marketing objectives, so that they can further the value proposition of your organization. And, please do not leave out the strategic partners, alliance members, consortium partners, vendors, and others who are playing a vital role to advance your organization. They, too, are excellent PR ambassadors, not just of good will, but they can spread substantive value-added information which may help you retain current and garner new clients. Question 11 - Before we go to our last question I would like to thank you for hosting this week's forum. Online marketing is certainly a tool many are learning how to use within their organization. Answer 11 - Anytime you choose a partner to further the agenda of your organization, you must examine several issues. These include, but are not limited to, your budget, your expectations, your "affinity" needs -- is a big name marketing firm important to you?, proven track record, etc.